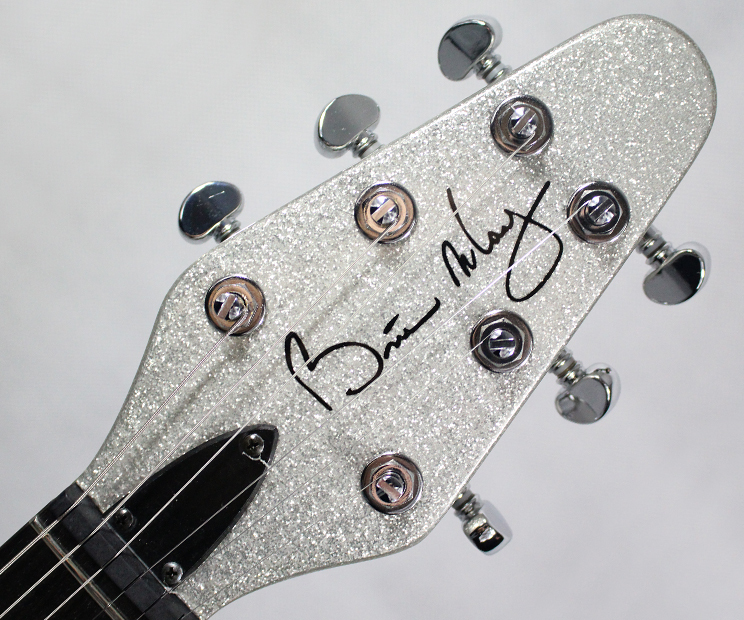 Over the years, Brian May Guitars has presented a number of alternative instruments to our regular production models, some in response to requests from Brian himself, some inspired by pro players looking for something a little off the beaten path and some simply driven by a desire to see how far we can push the BM design concept. 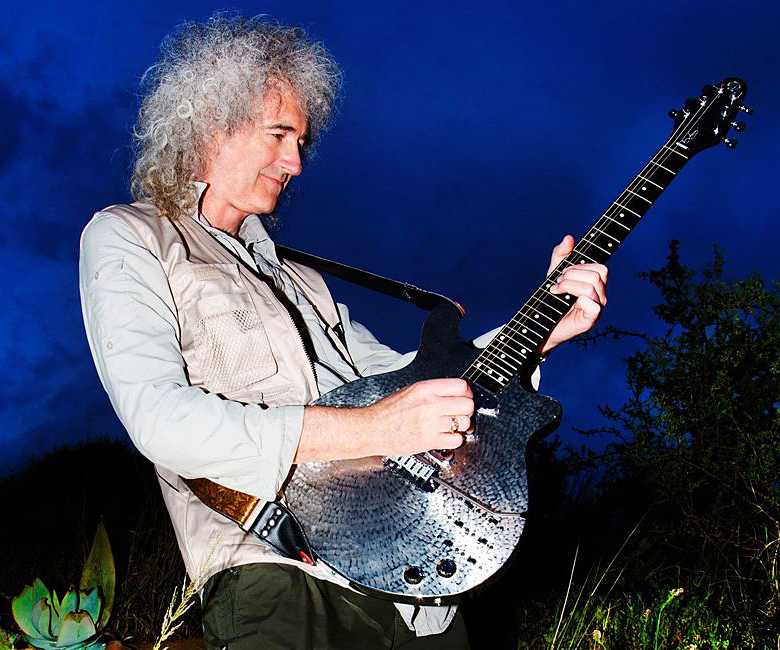 Here, we showcase some of the most notable prototypes, one-offs and limited edition instruments from the Brian May Guitars canon. 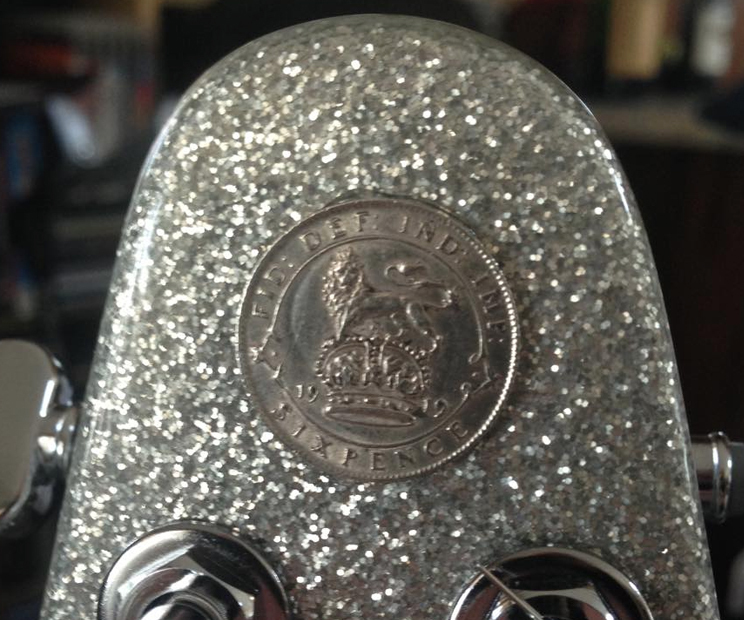 As bright and shiny as a brand new sixpence, this striking, metallic Limited Edition Special is perfectly complimented by black plates and chrome hardware and, courtesy of one inspired customer, by an actual sixpence! 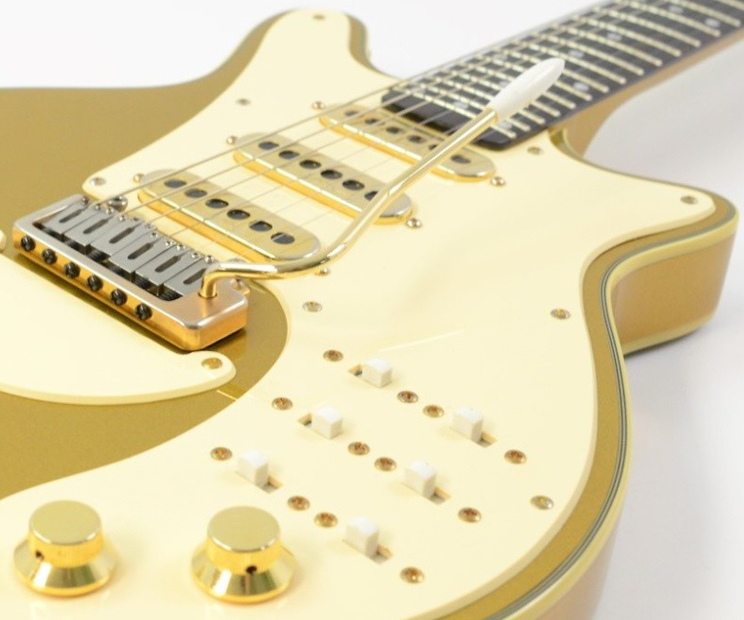 A featured colour for the last decade, this opulent Special originally went full-Trump in 2004, sporting gold guards and hardware. The most recent Mk. III Limited Edition toned down the bling but stayed classy with cream plates. 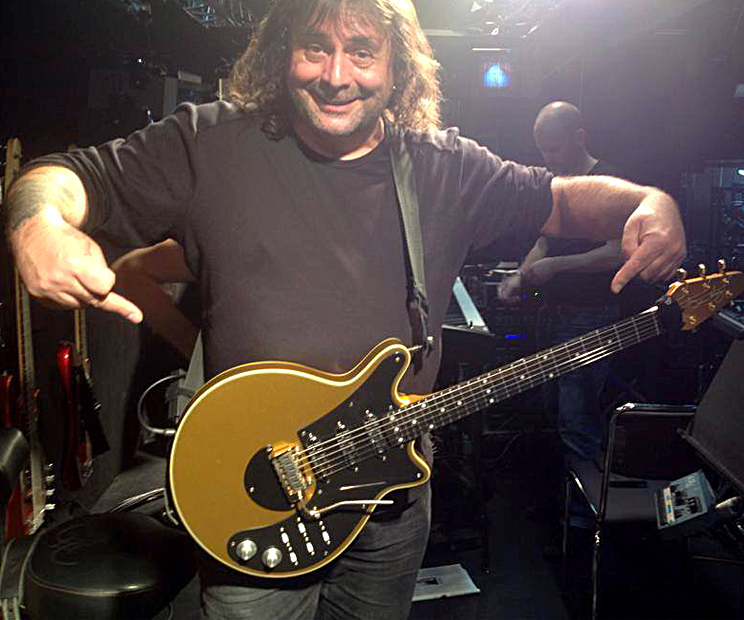 The choice of UK guitar ace, Phil Hilborne for the German touring production of We Will Rock You, Phil has tricked out his glamorous Goldie with black plates, top-hat replica knobs and Adeson Burns Tri-Sonics and pots. 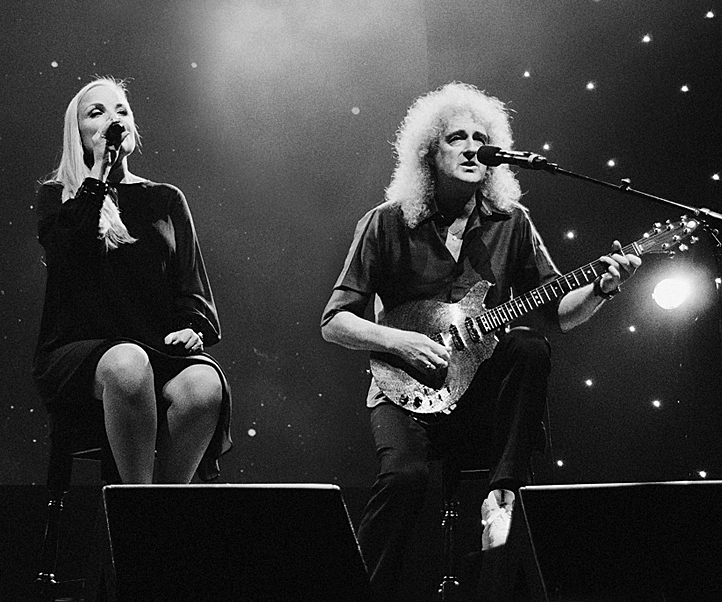 Celebrating the 30th anniversary of Queen's stone-cold classic 1975 LP "A Night At The Opera", the album that spawned the mega-hit "Bohemian Rhapsody", introduced the World to Brian May's ukulele playing and forever defined the band's international reputation as one of rock 'n' roll''s most innovative acts. 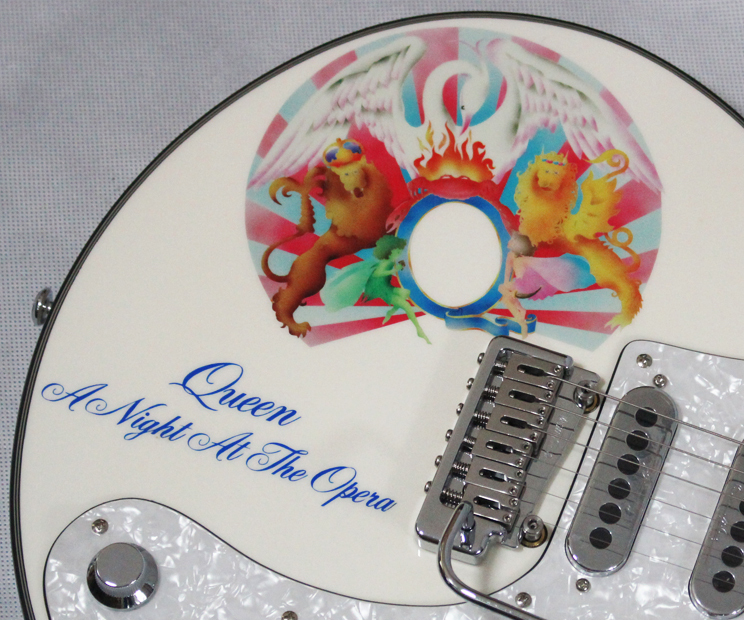 This exclusive white Special, featuring the original album artwork, contrasting black pinstripe binding, chrome hardware and classy white-pearl scratchplates was snapped up a lucky customer during our 2015 "May Blitz" promotion. 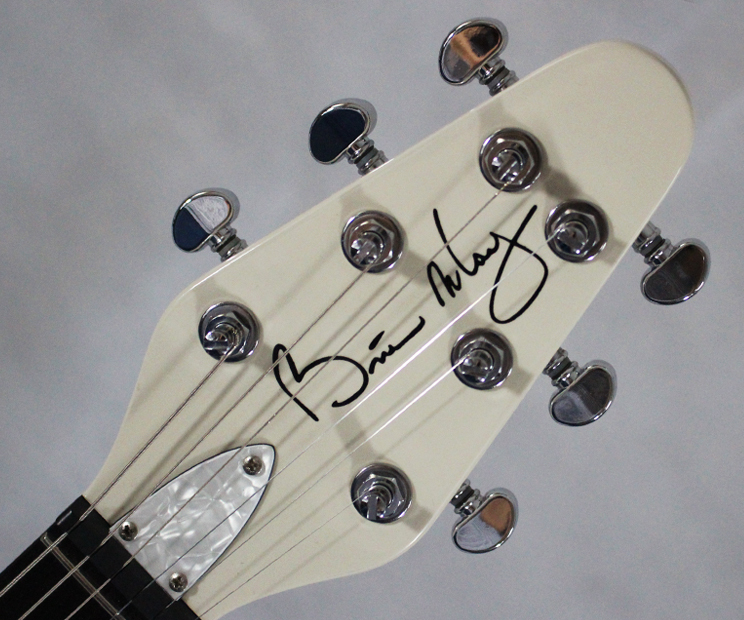 Plans for more ALBUM SERIES instruments are afoot... keep an eye on the BMG News feed for updates, or follow us on Twitter. 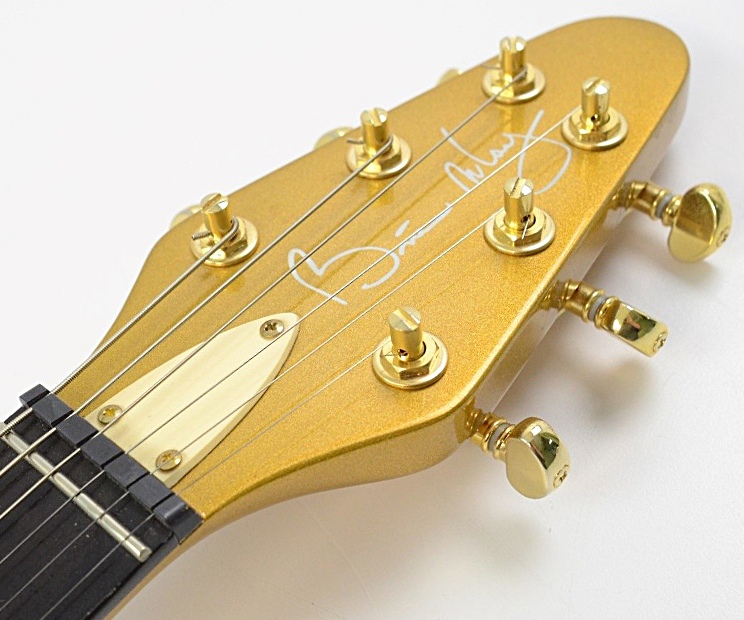 A beautifully unique version of the BMG Special, with an ornate engraved body crafted from laser-cut, stainless steel by Dwayne Becknell of Lacuna Acoustic Art, coupled with a stock mahogany neck, Tri-Sonic style pickups and switching system. 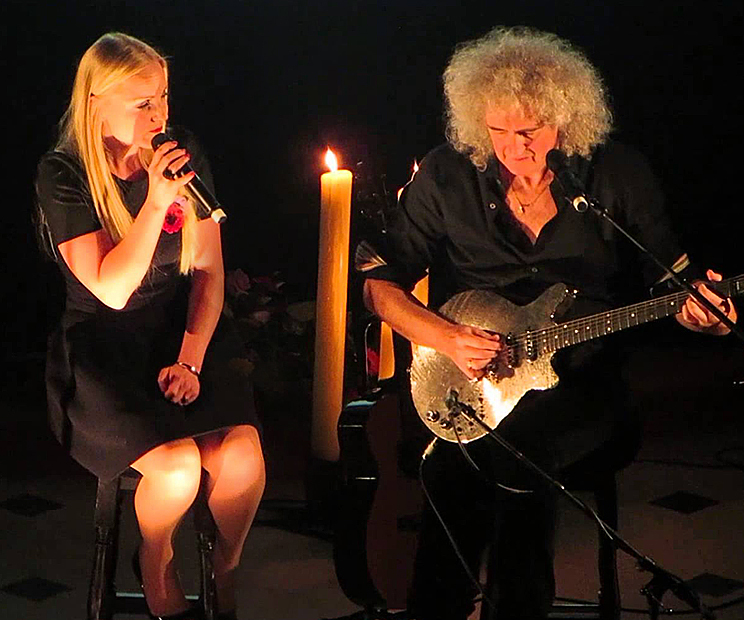 Brian used a version of this striking instrument with a carbon fibre/hard rock maple neck on the video for the 2012 "Born Free" charity single by Kerry Ellis & Brian May, as well as on the duo's intimate "Acoustic By Candlelight" European tours in 2012-2014. 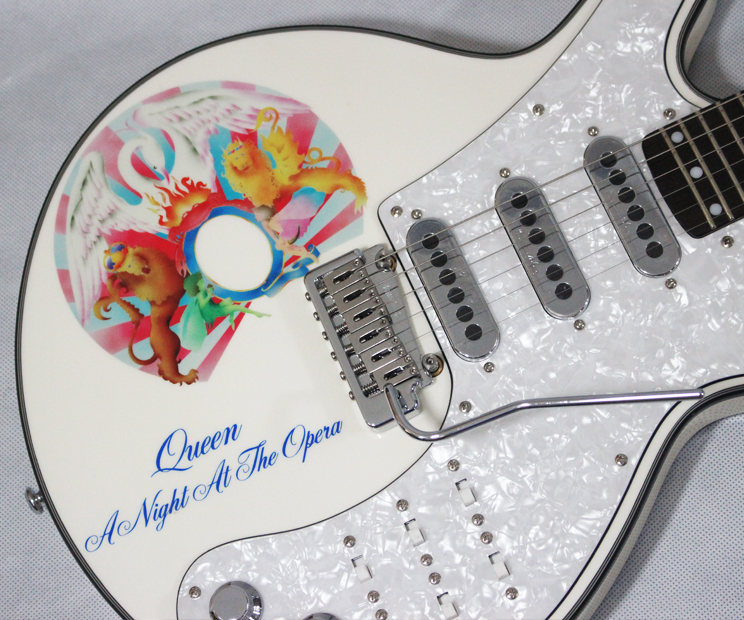 This special instrument, featuring an amazing piece of artwork, was a 60th birthday present to Brian May from House Music MD, Barry Moorhouse, who commissioned British artist Paul Karslake (brother of Jo Wood, Rolling Stone Ronnie's former wife) to create the beautifully cosmic finish. 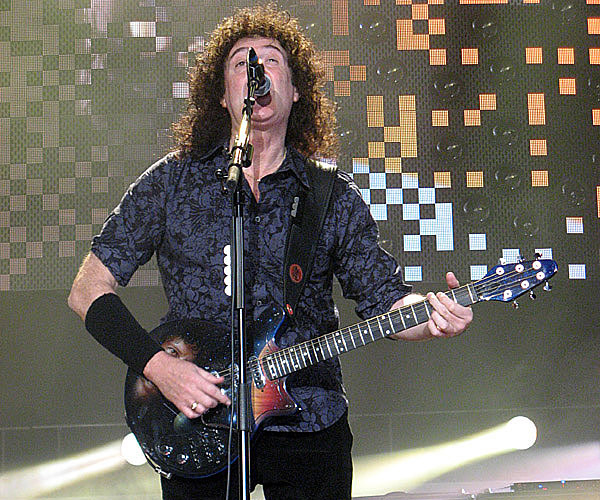 "It has a great feel and sound just naturally, but we have now customised it further by wiring the pickups in parallel instead of series, so the instrument now responds in a way more reminiscent of the tone of, say - a Stratocaster - but still with the BM warmth and still with the BM combination switching, so it is unique. I love it... for "C-lebrity" and "Crazy Little Thing", it gives me a whole new set of colours to play with." 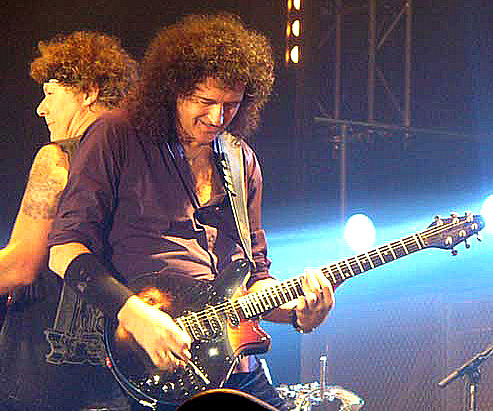 Part of the expansion of the BMG range that saw the successful development of the Mini May, The BMG Bass and Rhapsody Electro-Acoustic, the Vision merges the distinctive BM styling with the simplicity and utility of a pre 1960 Les Paul Double Cut Special or LP Junior (it also pays homage to Guild's mid-1990's BM032 Standard twin pickup design). 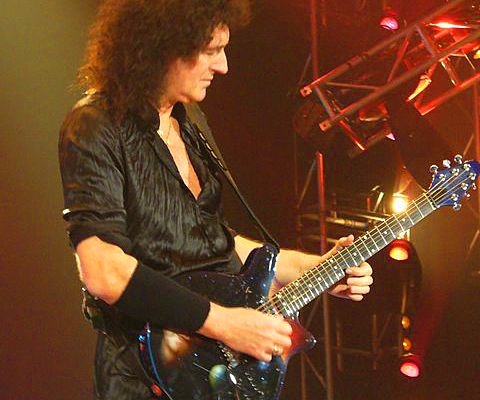 With a solid mahogany body and neck, vintage wraparound bridge, twin chrome-capped humbuckers, aluminium "Top-Hat" knobs and 3-way toggle selector, this little Gibson-esque beauty is, in almost every respect, the "anti-Red Special". 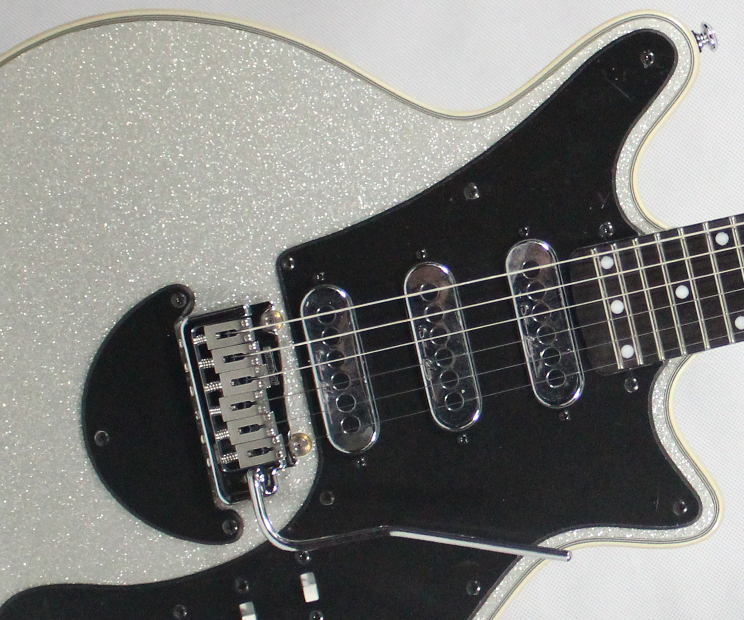 Consequently, the Vision has never made it past the prototype phase, but, oozing retro-cool, remains a fantastic, no-frills, garage rock 'n' roll guitar.